Loule Portugal - An Algarve Tourism Guide fully Updated for 2019! Loulé is a traditional Portuguese market town, and one of the most popular day trip destinations of the central Algarve region. Visitors are drawn to Loule, as it boasts a characterful historic centre, a lively market and a genuine Portuguese atmosphere. 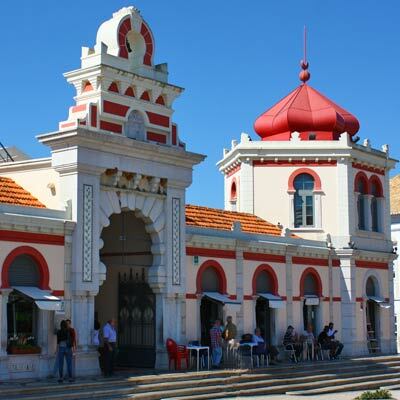 The focal point of Loule is the Arabic inspired covered market, and inside are stalls selling local produce, fresh fish and regional handicrafts. Surround the market are busy shopping streets, tree-lined plazas and a warren of medieval alleys, lined with craftsmen’s workshops and traditional houses. Found within the compact historic centre is the ancient castle, the gothic Igreja Matriz and the Convento do Espírito Santo. Loule normally has a peaceful and unhurried atmosphere, but the town comes alive on Saturday mornings, when the daily market expands to include a farmer’s market, and spills onto the surrounding streets. Also held on Saturdays is a bustling and chaotic gypsy market held close to the Convento Do Santo Antonio, on the western side of Loule. 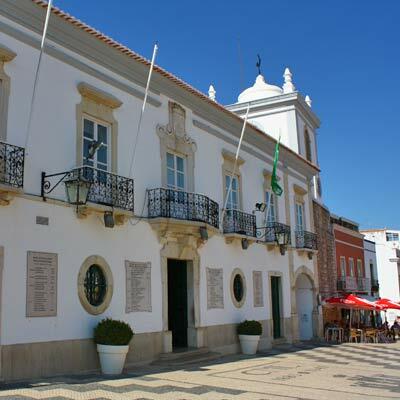 This article will provide an introduction to Loule, and includes tourist information, a suggested walking tour and travel information. Loule is a likeable town that offers fascinating tourist attractions, a traditional Portuguese market, and a delightful historic centre. Loule is one of the few destinations in the Algarve whose primary focus is not tourism; it is a town full of ordinary Portuguese going about their daily lives. 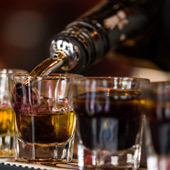 If you are based in one of the larger coastline resort towns (Albufeira, Vilamoura, Quarteira, Olhos de Água), Loule will give you the chance to experience real and authentic Portugal. 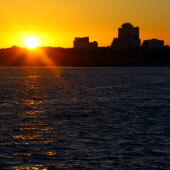 The town has a very different ambience to the coastline, and Portuguese will be the language predominately heard. For a day trip, Loule has sufficient tourist sights to fill a half day of sightseeing, and the town can be easily travelled to using public transport (details at the bottom of this article). Our advice is to visit Loule on a Saturday morning, when both the gypsy and farmers markets are held. Loule should be avoided on Sundays when the covered market is closed. On Mondays, most museums and government managed tourist attractions are closed for the day. If you wish a peaceful visit to Loule consider Tuesday to Friday, as on Saturdays the town will be hectic with the market and coach loads of tourists. Note: A suggested itinerary for a one-day trip to Loule is detailed later in this article. Loule is not a conventional holiday destination, and most visitors are day trippers. For a holiday, Loule is more suited for the intrepid and cultural curious visitor, who wishes to escape from the common tourist haunts. Loule has a distinctly Portuguese ambience, with all services and facilities designed for the Portuguese residents of the town. Within the Loule region there is a wide selection of rental villas and self-catering apartments, and these tend to be much better value than the coastal towns. Loule is also growing in popularity with people emigrating to Portugal, and there is a significant expat community. 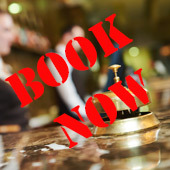 For a guide to the best, hotels in Loule please click here. Note: Loule is 10km from the nearest beaches, therefore the town should not be considered for a beach holiday. The weekly market is an important aspect of Portuguese culture, and the Saturday market in Loule is the largest in the Algarve region. This market is widely touted as one of the best attractions of Loule, but if you go expecting the quintessential Portuguese market, you will be disappointed. If instead you want to experience the sights, sounds and aromas of a busy market, it can’t be beaten. The Saturday market is designed for the Portuguese, who are seeking a bargain and tasty street food! It is filled with stalls selling cheap clothes, random hardware items and gifts that range from craft, to old jumble. Note: If you visit the gypsy market as part of an organised tour, do head into the town centre to see the more traditional covered market. What to know what we're up to.....? Come and see us on Instagram! Loule was an important Moorish city (8-12 centuries), and remnants of this North African heritage can be seen throughout the town, including the excavations below the castle, the Saint Clemente bell tower, and the Torre da Vela. 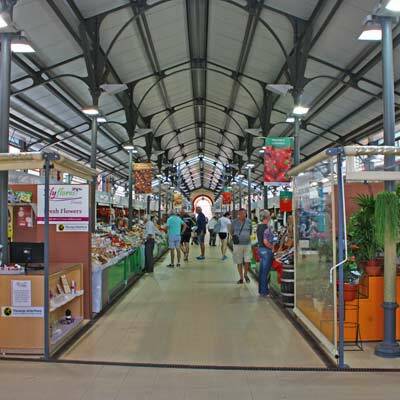 A market has been held in central Loule for over one hundred years, but the current market was constructed in 2007 and was inspired by North African designs (technically Neo-Arab styling). Inside the market, family-run stalls sell locally grown or sourced produce which include fish, foods, fabrics and gifts. The market is closed on Sundays. The Municipal Museum is housed in the castle and contains a series of exhibits of Roman and Bronze Age artefacts discovered within the Loule region. The grounds of the museum have been excavated to reveal the Moorish ruins that the town was built upon. 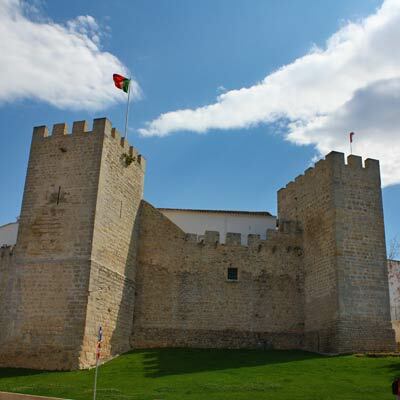 Loule castle’s origins are from the Moorish era, but the three towers and connecting battlements, which can be explored today, date from the 1260s, when the castle was strengthened under the command of Afonso III. The castle, along with most of the Algarve, was severely damaged by the 1755 earthquake. To best see the exterior of the castle head to the Praça Dom Afonso III, while from the top of the towers are wonderful views over Loule. 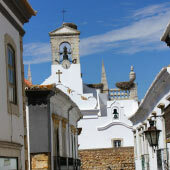 Between the castle and the Igreja Matriz are a labyrinth of narrow cobbled alley and backstreets which follow the medieval layout of the town. These streets are filled with small workshops and artisan studios, where old craftsmen ply traditional family trades, including copper working, pottery, tile painting and furniture making. Above the small workshops are the family houses, which have been owned by the same families for generations. This section of Loule is best to explore by simply getting lost in it and wandering through the series of charming alleyways. 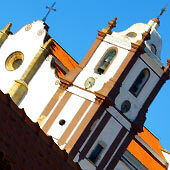 The Igreja Matriz is a 13th-century gothic church that was converted from a mosque. The church has a plain whitewashed exterior, but the notable feature is the bell tower which was originally the minaret of the mosque. 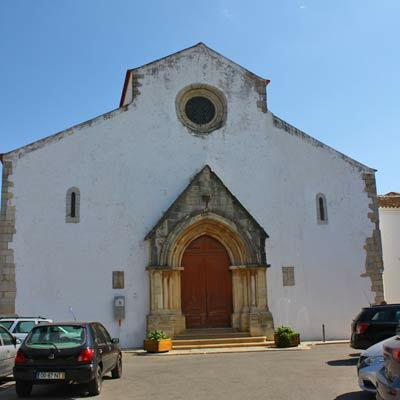 The church is often referred to the Igreja de Clemente, as Loule was captured from the Moors on the 23rd November (1249), the patron saint day of Saint Clemente. The church overlooks the pretty Amuados gardens, which was originally graveyard. The simple exterior of the chapel of Nossa Senhora da Conceição does not reflect the beauty contained within. The interior of the small 18th-century chapel is adorned with wonderful Azulejos tile paintings while the altar is gilded with gold. 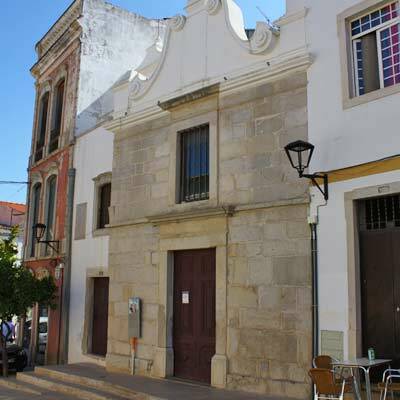 The town hall is set on the edge of the old Convent of Espírito Santo complex, which also house the municipal art gallery and a neoclassical cloister. 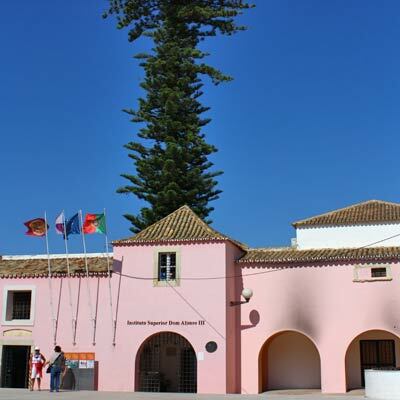 In the centre of the convent is Loule’s most notable feature, a single Araucaria (Norfolk Island Pine) tree. The 200-year-old tree which originates from Australia is 45m tall and dwarfs all other buildings in Loule. Loule is a great destination for a day trip from the coastal resort towns and there are direct bus services from Faro, Vilamoura and Albufeira. Loule is located on the edge of the Barrocal Hills but there are no steep hills within the town centre just lots of cobbled streets. 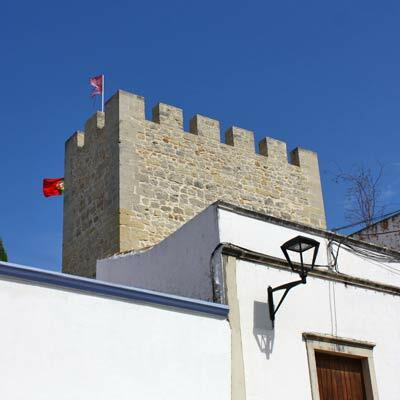 •	Head round to the Praça Dom Afonso III (GPS: 37.13970, -8.024158) to see the castle walls from the exterior. •	Now it is time to explore the narrow alleys between the castle and the Igreja Matriz. These are filled with small workshops, artisan studios and a host of other craftsmen working. 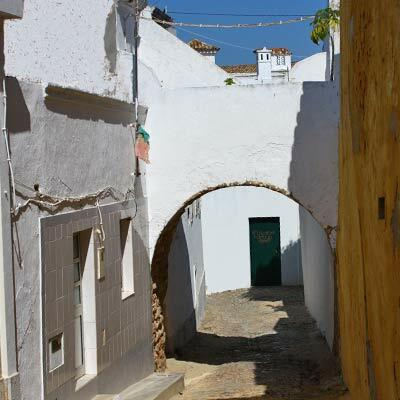 •	The stand out feature of this charming area is the Arco do Pinto on the Travessa Arco do Pinto (GPS: 37.13855, -8.02348), a little arch that connects two houses of the same family. 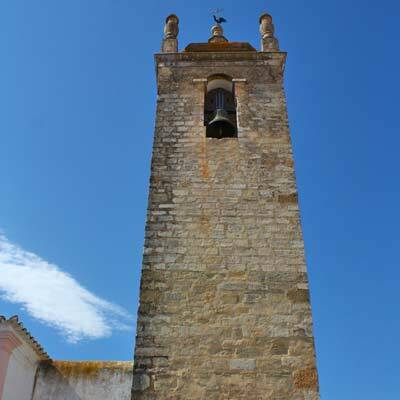 •	Visit the Igreja Matriz church (GPS: 37.13744, -8.023641) and observe the churches’ tower which was originally a minaret for a mosque. 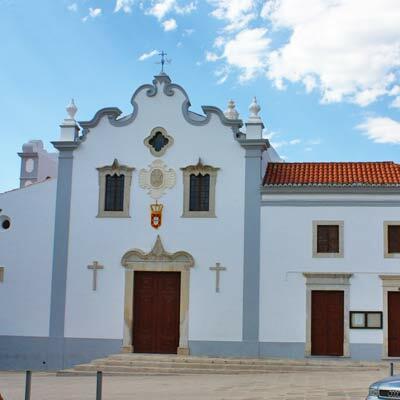 This day trip to Loule takes around half a day and the excursion can be extended walking up to the Nossa Senhora da Piedade church (GPS: 37.14031, -8.03672). This is a challenging hiking trail, but the panoramic views are worth the effort. Loule bus station is to the north of the town centre (GPS: 37.14134, -8.02162) and it is just a short walk (300m) along the busy shopping street of Avenida 25 de Abril to the town centre and market. 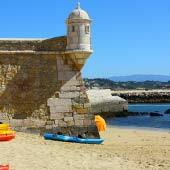 Loule, Silves or Faro as a Day Trip? Loule, Silves and Faro are all popular day trips but each town has it’s own positives and negatives as day trip destinations. Silves is by far the most scenic and historic of the three. It is set on the banks of the Arade River with cobbled streets leading up the hill to the imposing red brick castle. Silves main difficulty is the limited public transport as there are only direct services to Portimão or Albufeira. Loule is the most central and thus most accessible of the three towns but has the fewest historic monuments or major tourist sights. Loule is best visited on a Saturday when a visit can be combined with exploring the large morning market..
Faro is the largest of the three day trip destinations and, is sadly often overlooked as an excursion. Faro has a pretty old town that is surrounded by ancient Moorish walls while the town centre is pedestrianised and lined with open-air cafes. 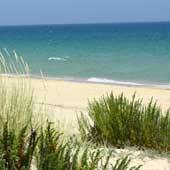 Departing from Faro’s harbour are tours of the Ria Formosa natural park, a series of saltwater lagoons and waterways. 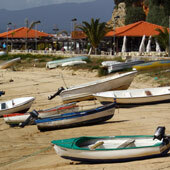 Luz is pretty, unassuming and has a wonderful beach.